Cortes further criticised the ‘having your cake and eat it’ attitude adopted by some in the Brexit debate. “You wouldn’t go to a gym and say you didn’t want to be a member but wanted full use of the facilities,” the union chef said. 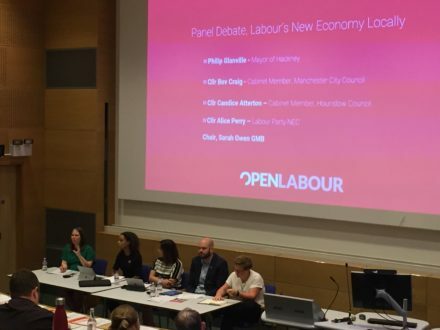 Open Labour also held its AGM and elected a new national committee. Danny Filer, Jawad Khan, Rachel Garrick, Steve Lapsley, Ben Procter, Juliet Harris and Nathaniel Amos-Sansam were newly elected alongside incumbents Jade Azim, Lynn Morris, Tom Miller, Rachael Ward, Emma Burnell, Phil Freeman and Laura Pascal. The AGM was chaired by Ann Black, who is standing for Labour’s NEC backed exclusively by Open Labour.